Can Mythbusters rekindle the magic? Discovery-owned Science Channel is rebooting one of the most iconic TV shows of our generation, Mythbusters. The science-fueled series premiered way back in 2003 and quickly identified an educational format that worked and a cast that fans loved. The show remained popular for well over a decade but when co-hosts Kari Byron, Tory Belleci and Grant Imahara – collectively known as the Build Team – left in 2014 and a new format was introduced, things quickly turned south. The 14th and final season premiered in January 2016. The Build Team trio went on to create a Mythbusters-inspired spin-off for Netflix called White Rabbit Project. The 10-episode series premiered on December 9, 2016, but was not renewed for a second season. Not content to leave the concept be, Science Channel is launching a new season of Mythbusters that’ll debut on November 15. We’re told that 14 episodes are on the docket although with none of the original cast on board, its chance for success is slim at best. 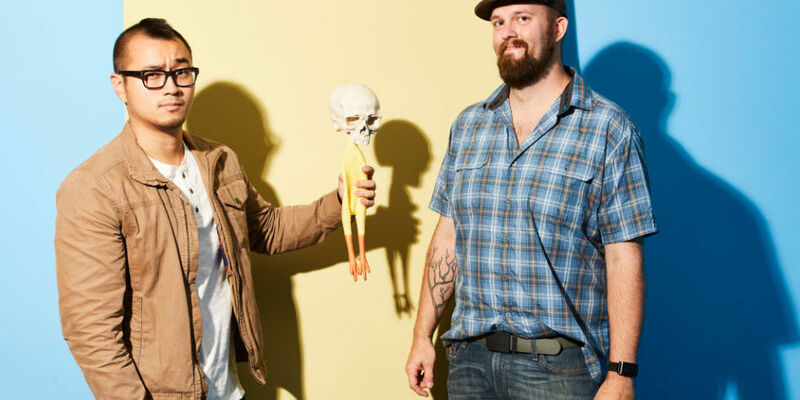 The new Mythbusters will be hosted by Brian Louden and Jon Lung, winners of the recent national casting call competition. The debut episode will reportedly test whether airbags can be lethal to passengers that put their feet on the dashboard and if decapitation truly leads to that dramatic pause before dropping to the ground as is often depicted in the movies.